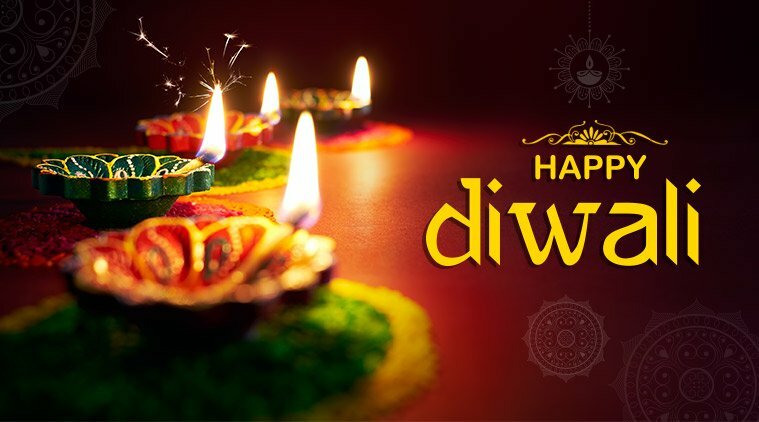 I wish you all the best wishes of Deepwali 2018, Hello friends … Today, I am going to tell you about such stories or reasons in this post, due to which we celebrate Deepawali. We know that India is a country full of cultures and here we celebrate 2-4 festivals every month. According to Indian people, there are 33 million goddesses in India, and this is why there is always the atmosphere of any festival in India. One of them is a great festival, celebrated in every state, Diwali or Deepawali. We celebrate this festival in the joy of the victory of truth on evil. At Diwali everywhere in the night, you will see light in the night, because we believe that day, light had won over darkness. On this day people pray with their family in the house and burn the lamp everywhere in the house and sweets share to each other in your friends and relatives and also send their messages to their friends on the internet. But who are the reasons why we celebrate the day of Deepawali happily with so much? To know this thing, read these short stories below. This is the story and the reason that almost all Indians know that we celebrate Diwali Lord Shri Ram in the joy of returning from exile. Having suffered from wrong thoughts of Manthra, Bharat’s mother Kaikey makes a promise to send Lord Shree Ram to his father Dasharath for exile. In such a way, Shri Ram respects his father’s order and goes out for 14 years of exile with wife Sita and brother Lakshman. In the same forest Ravana kidnaps Sita from trick. Then, with the monkey army and Lord Hanuman, Shri Rama defeats Ravana’s army and Lord Rama kills Ravana, and rescues Sita. That day is celebrated as Dussehra and when Shri Ram returns home to Ayodhya, then people from all parts of the state celebrate their happiness. Since then, the name of that day is known as Deepawali. You must have heard the story of Mahabharata. Korav, with the help of Shakuni Mama’s trick, took away Pandavas from everything in the chess game and even had to leave the state for 13 years to go to exile. Kartik Amavasya had returned to his kingdom from the Pandavas (Yudhishtir, Bhima, Arjuna, Nakul and Sahdev) from his 13 years of exile. In the joy of his return, the people of his state celebrated the joy by burning the lamp. This is also a very important reason to celebrate Diwali. Every time Deepawali festival is celebrated on the day of “Amavasya” of Kartik month, according to the Hindi calendar, because on this day Devi Lakshmi incarnated in the universe during Samundra Manthan. Devi Lakshmi is considered to be Goddess of wealth and prosperity. That is why with every burning lamp in every house, we worship devi Lakshmi as well. This festival is celebrated by the people of the Sikh community as well as their 6th Guru Hargobind, who was in captivity of the Mughal Emperor Jahangir when he was released from the Gwalior jail. King Vikramaditya was a great emperor of ancient India. He was a very ideal king and he is always known for his generosity, courage and the protection of scholars. This Kartik Amavasya was his coronation.